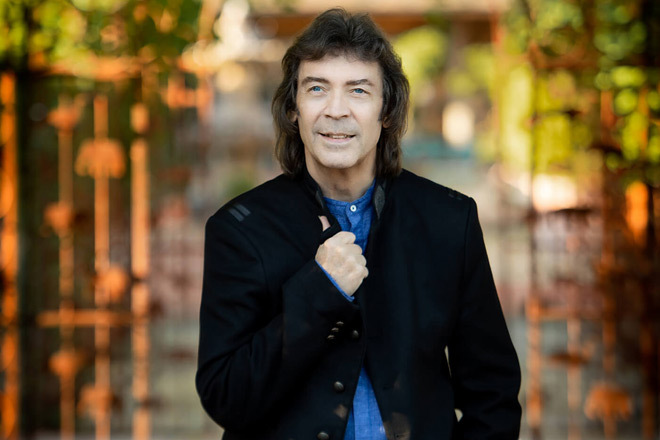 Of all the luminaries of the ’70s batch of Progressive Rock, Guitarist and Songwriter Steve Hackett continues to prove to be among the proficient and prolific ones, managing to stay productive, relevant, and influential amidst the ever-dynamic music scene. Born on February 12, 1950, in London, England, Hackett started his solo career during his last two years with Genesis (“Dancing with the Moonlit Knight”). His debut album, 1975’s Voyage of the Acolyte, remains a landmark in Progressive Rock music. He was on a roll since then, releasing an album practically every couple of years. Only two years fresh from his last one, 2017’s The Night Siren, Hackett is already unleashing yet another one—his twenty-fifth oeuvre! 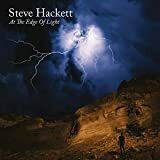 Scheduled to come out on Friday, January 25, 2019, through InsideOut Records, Hackett’s new full-length, titled At the Edge of Light, is another conceptual masterpiece reeking with stylistic exoticness and diversity. It is markedly a sonic sequel to its last two predecessors. It begins with the dark, ominous, and imposing introductory instrumental “Fallen Walls and Pedestals,” which segues smoothly into the more dramatic and lush soundscape of the initially slow, piano-oriented, jazzy ballad “Beasts in Our Time” that builds up into a Glam Metal midtempo; it will remind the initiated of the instrumental “The Explorer” by Shotgun Messiah. “Underground Railroad” is a surprising and unexpected change of style and pace—the first part, Southern bluesy, Gospel-inspired, Appalachian, pastoral, and folky; the denouement—angular, electrifying, and Neoclassical. This mélange gives way to the soft and elating, eleven-minute Classical/Orchestral epic “Those Golden Wings,” in which Hackett’s inspired voice and distinctive guitar melodies soar breezily and brilliantly, respectively; complementing the overall instrumentation—making it the album’s highlight; a pièce de résistance on its own. 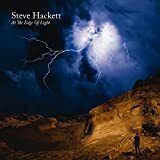 Hackett then takes the listener to the Arabian deserts with the outlandish “Shadow and Flame,” harking to a similar, recent aural pilgrimage by Orphaned Land (“Poets of Prophetic Messianism”). “Hungry Years” is a sudden burst of nostalgic Pop sensibilities—simple, catchy, tuneful, lyrically hopeful, and musically referencing ’60s Psychedelic Folk/Pop—another future classic hit in the making. Then there is the startling, metallic, instrumental march of “Descent,” reverberating distinctive echoes of Diamond Head and Metallica—“Am I Evil?” Yes, you are! And that is brilliant—but only in a Thrash Metal kind of way. Strike while the metal is hot! Roll while the rock is still sturdy and raving. Well, that is what Hackett has been doing ever since that fateful day in 1975 when he unleashed his first offering. 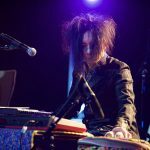 Forty-four years have passed, and yet the guitar extraordinaire and musical visionary has no sign of slowing down. He is indeed an embodiment of creativity, originality, and prolificity. At the Edge of Light is his twenty-fifth time to show that. For all these, Cryptic Rock gives the new album 5 out of 5 stars.